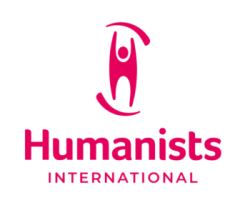 Humanists UK devotes much of its time to campaigning and lobbying on behalf of the non-religious as well as for freedom of religion, belief, speech, thought, and expression more generally. We work for an open society and a secular state with no religious privilege or discrimination based on religion or belief. We also campaign for a rational approach to public ethical issues in order to contribute to a public life where decisions are made on evidence rather than on the basis of irrational beliefs or religious doctrines. You can help! public ethical issues, including assisted dying, abortion and other sexual and reproductive rights, human tissues, organ donation, homeopathy, animal welfare, and the genital mutilation of children. We also work on all these issues and more internationally. As well as being able to find out information about the above campaigns, in this area of our site you can also find out about successful campaigns we no longer have to work on, a humanist view of society more generally, and how you can get involved. As a national organisation, Humanists UK presents expertly argued views to UK Parliament and the Government: lobbying Parliament, submitting evidence to enquiries, making submissions to Government, responding to consultations, and conducting media campaigns. We have a close working relationship with the All Party Parliamentary Humanist Group. We also work in the devolved legislatures through our sections Northern Ireland Humanists and Wales Humanists, and in cooperation with Humanist Society Scotland. And while not being party political but we work with affiliated groups in a number of parties – the Labour Party, the Conservative Party, the Liberal Democrats and the Green Party. Humanists UK also works with NGOs from across the European Union as a member of the European Humanist Federation. We attend the European Parliament Platform for Secularism in Politics (EPPSP). The EPPSP is a forum which defends and promotes Fundamental Rights, with special focus on freedom of religion (including freedom from religion), freedom of conscience and freedom of speech. Humanists UK is also involved in the Alliance for a Secular Europe. The Alliance is a grouping of organisations seeking to defend progressive laws and causes against reactionary religious influence on political decision-making in Europe and, more generally, to promote secularism in European politics. We work in close partnership with Humanists International – our Chief Executive is also its President, and we hosted the triennial World Humanist Congress in Oxford in 2014. We are the only national humanist group accredited at the UN Human Rights Council, where we make interventions at each session on global issues of concern. We campaign on the basis of human rights, including the rights of people with religious beliefs, and a humanist view of society. The law upholds freedom of ‘religion or belief’ and the word ‘belief’ in this legal sense includes non-religious worldviews or lifestances such as Humanism. We stand up for the rights of humanists and everyone who lives their life without religion – and because our campaigns are based on the principles of the ‘open society’ and the secular state, they also serve the interests of others whose rights may be being infringed. Many of our campaigns are based on Government consultations or Parliamentary initiatives, and we also initiate effective campaigns ourselves. Because our campaigns are – in some ways – in tune with the Government’s own agenda of inclusion and non-discrimination, we can often have a real impact. Surveys and polling data indicate that the population of the United Kingdom is increasingly secular, and essentially humanist in its outlook. The remaining privileges and legal exemptions for religion appear ever more anachronistic and unjustifiable. These campaigns pages have all the news about our current and recent campaigns. They are updated frequently, so bookmark them and keep returning. Also make sure to read about what you can do to help. Of course, the most effective campaigns combine local action with work at national level. For example, we can produce the arguments against faith and sectarian schools and in favour of inclusive schools where children from families of all religions and none are educated together and learn about each other’s beliefs, but groups proposing new schools only consult and listen to the views of local people when making decisions about a new school in their area. So if you share our views, we hope you will get involved – our success depends on you!